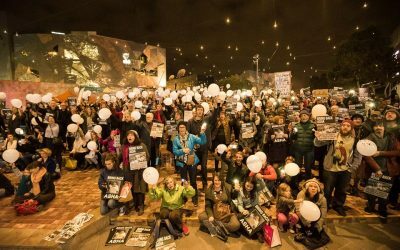 The role of advocacy and campaigns at the ASRC is to create sustainable social and policy change in regards to people seeking asylum and to to build a global collaborative, diverse and effective movement that drives change to restore and uphold the rights of people seeking asylum. The program advocates and supports individuals seeking asylum in arbitrary detention by connecting them to critical services like legal advice and medical assistance. It also acts as a witness to report and record on the conditions in detention as well as human rights abuses. They do this by working with the Human Rights Law program to ensure people get representation, including strategic litigation and to improve the conditions they are forced to endure. The program also works with other community groups and advocates to lobby for an end to mandatory detention, time limits on detention and an end to offshore processing. The Advocacy and Power program is a four month intensive that empowers people with lived experience of seeking asylum with training and expertise to become powerful refugee rights advocates in the community. The program aims to amplify the voices of people with a lived experience of seeking asylum, a group who are often absent from the debate. 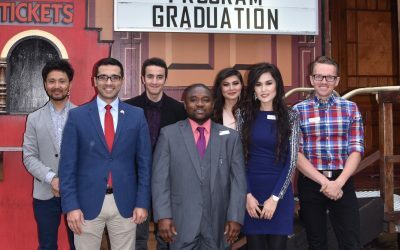 In 2017, eight program graduates have already led their own direct advocacy, media engagement and speaking opportunities. Our campaigns create awareness and meaningful engagement with the general public, schools and the community around the issues faced by people seeking asylum in order to achieve legal and policy change for a humane and fair system. We advocate on behalf of people seeking asylum both in and out of detention and also work with people with a lived experience of seeking asylum to empower them to be strong advocates. 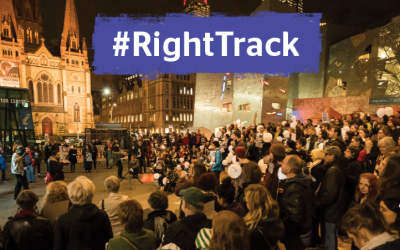 In 2017, our #Right Track campaign will focus on ways to create a fairer and efficient process for people seeking asylum, reinstate permanent not temporary protection visas to people found to be refugees and putting forward ways we can assess people’s cases for asylum in a safe space while they rebuild their lives in our community – not in detention.